Total E&P Australia is a subsidiary of Total S.A., the world’s fourth largest international oil and gas company. With operations in over 130 countries and around 100,000 employees, Total is involved in all aspects of the petroleum industry, and also actively invests in both biomass and solar photovoltaic renewable energy technologies. In Australia, Total is a partner in two major LNG developments, holding a 30% interest in the Ichthys LNG Project, and a 27.5% interest in the Gladstone LNG Project. It also has several exploration interests, both offshore in the Browse, Bonaparte and Carnarvon basins and onshore in the South Georgina basin. These interests will see Total spend in the order of A$20B in the six years to 2017. 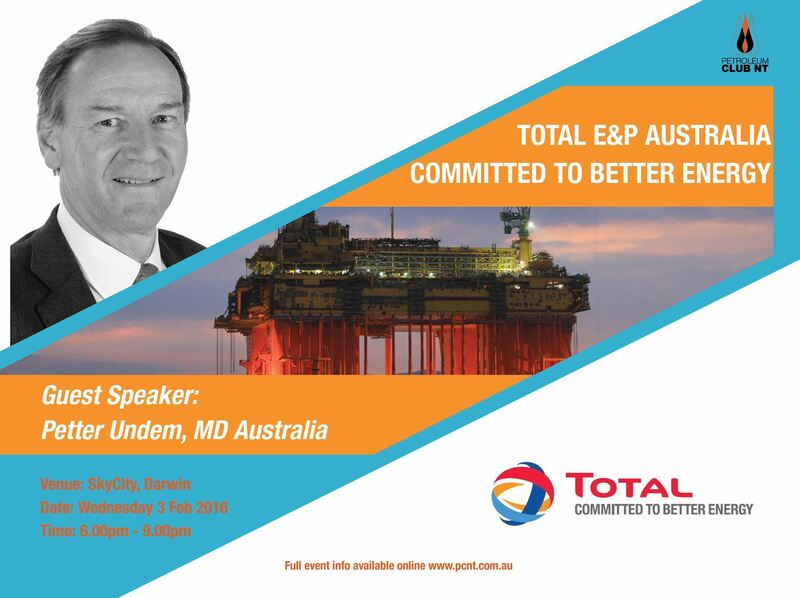 As Total’s Managing Director in Australia, Petter Undem will provide insights into Total’s current activities, how it’s responding to a lower oil price environment, and where he sees future opportunities and challenges for the industry.